King of cave wants to sort his treasures, help him in this hard work and check your attentiveness and reaction speed. Become a real Lord of Jewels! Move jewels with your finger to the tube with appropriate label, but remember that not all the falling objects are needed. Some of them, if used, may speed up the game or steal points, if you place an object in any tube. 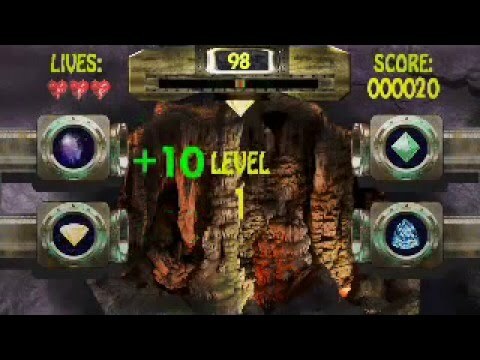 You get 3 lives per level, live is lost, when mistake with jewel is made. Other factors will impact difficulty of the game to make it even more challenging. 100 subjects will drop at each level. Game provides a use of one hand, not two. Try to use one hand to hold the device and the other one to control the in-game objects. We believe that you will have fun while playing the game and we wish you luck.